Every air conditioner has an air filer, deigned to catch particles of dirt and dust and keep them from moving through the system. Air filters need to be changed periodically (though some models have reusable filters that can be washed instead of being replaced) or else they can cause a considerable number of problems. Here in Fresno, air conditioning services can usually treat the problems cause by dirty air filters, but the more you know about the issue, the better you can prevent such problems from starting in the first place. 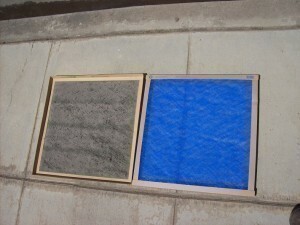 Call us today if you need your air filter replaced in Fresno. Dirty air filters tend to clog the flow of air through the system, which means your air conditioner needs to work harder in order to do its job. Not only does this increase strain on the entire system (raising the risk of repairs), but it forces your AC unit to expend more energy, which results in higher monthly bills. In addition, the excess dirt blown through the system will spread throughout your household via the air ducts. If you have sensitive family members, such as the elderly or those suffering from asthma, this can constitute a health risk, and even in healthier family members, the excess dust can result in a scratchy, irritated throat and lungs. On top of that, the excess dust can coat the inside components of your air conditioning system itself. This can create friction in moving parts, increasing the overall wear and tear and raising the chances of a more serious breakdown in the future. It can also create ice on the evaporator coils, clog lines and other key components, and cause no end of slow, long-term damage over time. You can reduce the risk of problems caused by dirty air filters by having them changed regularly, ideally as part of a larger maintenance session from the experts at Purl’s Sheet Metal & Air Conditioning. We have the skills you need to do the job right, and we can help you stop a number of issues before they start. Here in Fresno, air conditioning systems are an absolute necessity during the heat of summer. Give us a call today and let us make sure it’s ready when you need it! One of the last things you want to happen during a hot summer day in the Central Valley is for your air conditioner to shut down. Emergency service will get to you as soon as possible, but that still means a few uncomfortable hours without cooling. The best way to avoid this problem is to make sure that your AC receives its regular maintenance and that you call for repairs for smaller issues the moment you detect them. Here are three air conditioning issues you may encounter during the summer that must be looked at and fixed right away before they grow worse and jeopardize your home’s cooling. Purl’s Sheet Metal & Air Conditioning is on-call 7 days a week to handle your requirements for air conditioning repair in Fresno, CA. You can trust in our over 60 years of experience for whatever work you need done. Hard starting: This describes when your AC has difficulty coming on or switching into cooling mode. You’ll hear the system stutter and struggle to turn on, and often shut down soon afterwards. This is often because of trouble with the motors or the capacitors. If this continues, it can cause severe damage to the compressor, and it will place stress on other components and drain excess power. Technicians can replace the parts causing the hard starting or install a “hard-start kit” to overcome the issue. Icing along the coil: Your air conditioner blows out cold air, but it should never develop ice anywhere on it. If you notice ice growing along the indoor coil of your AC, you have a serious problem somewhere in the system. It could be a clogged air filter, a loss of refrigerant, or a build-up of grime along the coil. You can’t solve this problem by scraping the ice off the coil (and you might damage the coil in the process): call for professional repairs. Fan damage: The outdoor fan can sometimes sustain damage from debris entering the cabinet. (Make sure to keep the area around the condenser clear for at least a foot to reduce the chance of this occurring.) If the fan blades become bent because of debris, they will start to strike the fan casing, causing additional damage. When you hear any sort of loud striking sound from the condenser, call for repairs right away. If you haven’t had a maintenance visit for your air conditioner yet this year, make sure you take care of that as soon as you can. Call Purl’s Sheet Metal & Air Conditioning to sign up for our Ultimate Savings Agreement, which will deliver you two tune-ups a year and provide you with preferred customer status and discounts on repairs and upgrades. Maintenance will help keep your needs for air conditioning repair in Fresno, CA to a minimum. The AC condenser array is the component that starts the air conditioning cycle: applying heat and pressure to the refrigerant gas before releasing it into the compression coils where it reverts to a liquid state. (The evaporator coils return it to a gaseous state, which cools the nearby air and completes the air conditioning process.) When your AC condenser runs into problems, it can cut off power to your entire system, as well as reducing its cooling potential and similar dire issues. Here in Fresno, air conditioning repair companies can usually correct the issue with due speed. In some cases, the problem is electrical in nature. Either the circuits and wires providing power to the motor have gone bad or some component in the condenser motor itself has been damaged. In these cases, the air conditioner won’t start up at all. This is a valuable safety feature since it prevents further damage to the unit. However, you’ll have to get the electrical problem fixed before you can run the system again. 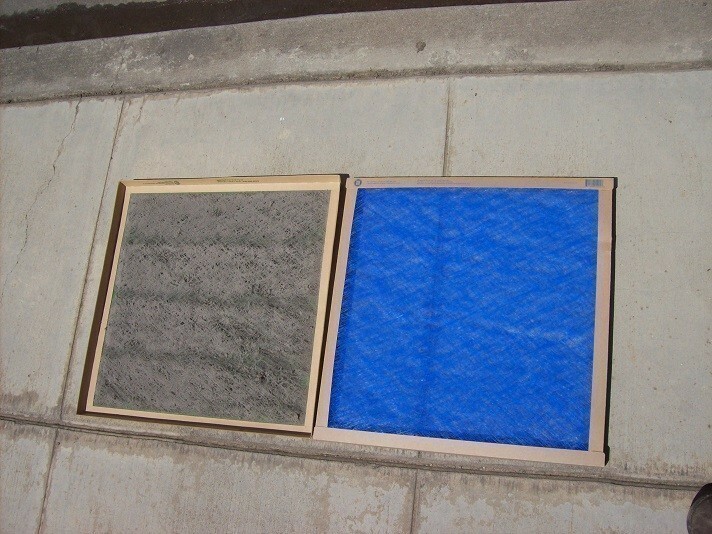 Another problem can occur if the condenser becomes excessively dirty, or the vent to the condenser unit is blocked. In some cases, this will result in the condenser working inefficiently. The AC unit won’t cool the air properly, and your system will have to work much harder in order to do its job. Alternately, the dirty condenser may result in rapid cycling, or turning the unit on and off very rapidly. Air conditioners use far more energy turning on and off than they do just running, so the conditioning needs to be addressed quickly. Regardless of what happens when your AC condenser needs repairs, you’ll probably notice the effect fairly readily. When you do, you need to contract the professionals at Purl’s Sheet Metal & Air Conditioning. Air conditioning systems need to perform at their peak during the hot summer months. We have the skills and experience to handle most any problem, so give us a call today to schedule air conditioning repair service in the Fresno area. You’ll be glad you did! With summer on the way, you’re going to need your air conditioning system to perform at its best day in and day out. Repairs can be miserable when they take place in the middle of a heat wave, and while emergency repair services are sometimes available, no one wants to take that chance. Purl’s Sheet Metal & Air Conditioning in Fresno is always on the job, but rather than waiting for a point in which you need them, consider the methods you can use to prevent that call in the first place. Upgrades. Minor upgrades like zone control systems and programmable thermostats are a worthwhile investment for the same reason that a maintenance session is. Zone control systems let you shut off the air to parts of the house you aren’t using. New thermostats provide remote options that let you turn off the air when you aren’t at home. Both features reduce the strain on your system, leading to less of a chance of repairs as well as lowering monthly bills. Home improvements. You can take steps around your home to help the air conditioner perform more effectively. For example, see about adding more insulation to your roof and sealing cracks around the doors and windows with weather stripping. They will help you home retain cool air better and reduce the stress on your air conditioning system. For more ways to lower the risk of air conditioning repairs, or to schedule a repair session for your home, contact the pros at Purl’s Sheet Metal & Air Conditioning. We handle all kinds of air conditioning repairs in Fresno and throughout the Central Valley, so give us a call today!